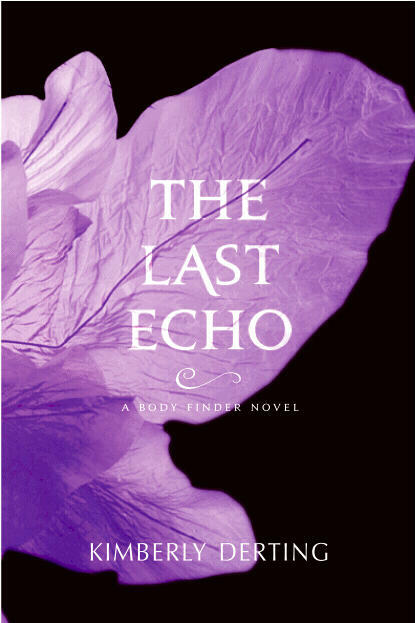 Google+ Reading Teen: The Last Echo (The Body Finder #3) New Cover!! The Last Echo (The Body Finder #3) New Cover!! I love these covers! I love how they are so similar, but each one is a different color. I love things that match! haha! I'm also intrigued by the title of the book and the description. The Last Echo....hmmm.....kind of makes it sound like something big is going to happen. Will Violet lose her ability to hear echos? It kind of sounds like it. And what will happen with Rafe? I can't imagine anything happening to Violet and Jay's relationship, they're just too perfect, but who knows! I'm excited to find out. The Body Finder was one of my favorite books of 2010, if you haven't read it...you must read it!! 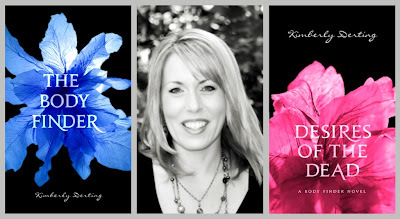 Kim talked with us a couple of months ago about her covers, (like did you know they're not real flowers?) you can read what she had to say about them here. Run over to Kim's blog and tell her how much you like the cover!! I love it! I think the covers on these books are gorgeous! Love it! CAn't wait for it to come out! !